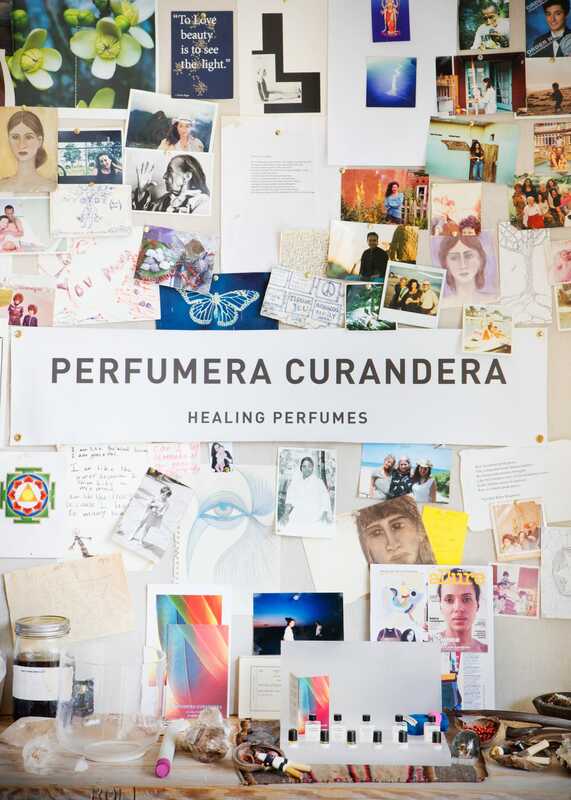 For decades Leanne Hirsh has worked in the beauty industry- from makeup artist, a green skincare brand and now her mystical, artisanal line of healing perfumes, Perfumera Curandera! 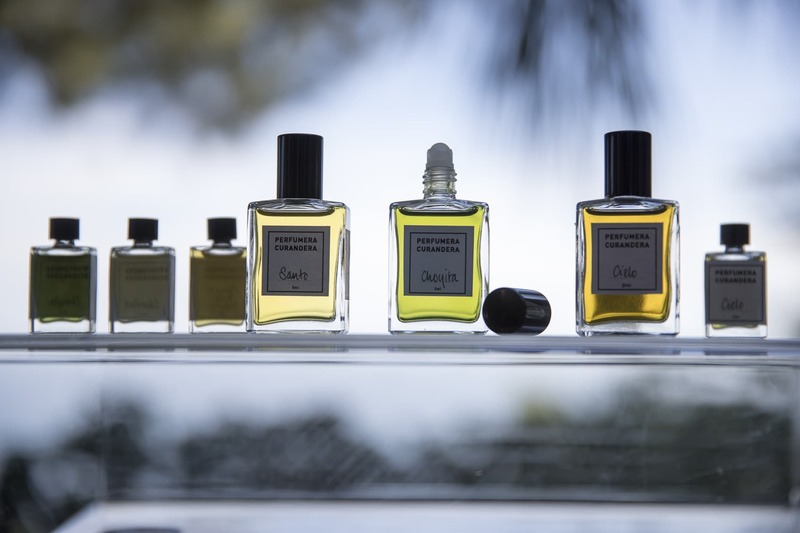 A captivating line of perfumes made with rare Peruvian Rainforest Essences, resins, roots, flowers, bark and seeds. As a young woman, I worked in a clothing store owned by a woman called Suzi who was a force of nature with wonderful taste. Her gorgeous little store was off George Street in West London. About a year after that I went to work for stylist, Mandy Coakley who did costume/props/sets for adverts and TV. It was quite a varied job, dressing 250 people in Airforce uniforms and such. Then I went to work for a photographers studio, doing their bookings. One day a makeup artist didn’t show up and I had to take over. That was a pivotal moment. I thought, this is fun and went to school for 6 months to learn about all aspects of makeup and skincare I got my esthetician diploma and became a makeup artist and spent the next 5 years unlearning everything they had taught me. Fast forward 30 years! I have had a varied and wonderful career as a makeup artist traveling all over the world. Besides working with great photographers and models, I have met interesting people such as Jack Nicholson, Anne Bancroft, Mick Jagger and David Bowie! in 1998, right before my son Noah was born I launched an organic seaweed-based skincare line called Hirsh Skincare. It debuted in Bergdorf Goodman and it was stocked in 45 stores in the first 2 years. I would LOVE to bring it back one of these days! This was green beauty way ahead of its time. My favorite product was my Marine Serum, a seaweed serum that was pure skinfood! As a young girl my inspiration was my boyfriend’s beautiful sister Susan, she was the most exotic beauty I had ever seen, French Vietnamese and English and she did her eye make up so amazingly, she would go through her long lashes with a pin to separate them and that always had me in awe. She really taught me about the transformational effects of makeup. Also, my mum had some glamorous friends who were always chic and funny to be around. And my great grandmother Sophia, who was a very strong character, she scared me, but I adored her. She wore her high neck lace blouses with a cameo brooch and a long skirt; she looked very Victorian, she ran pubs in the East End of London and had many stories to tell about all the shady East End characters. Women who inspire me now- Henny Garfunkel has a joie de vivre and is a special spirit and godmother to my son Noah. My mother in law Susana Bobrowsky is 95 this year. She is always so sharp and loves to be with young people who continually keep her young! She is a real lady, always put together and glamorous always in matching cashmere twinsets and silk scarves and has worn Cherries in the Snow lipstick by Revlon forever and a wig (I love her thinning silver hair myself, but she feels 20 years younger with her wig on) She is the matriarch of the family, and all go to her for her sage wisdom and insights. She loves to play cards till 2 and 3 in the morning with her friends and is as clear as a bell and has a radiance that gives her a youthful, joyful quality. 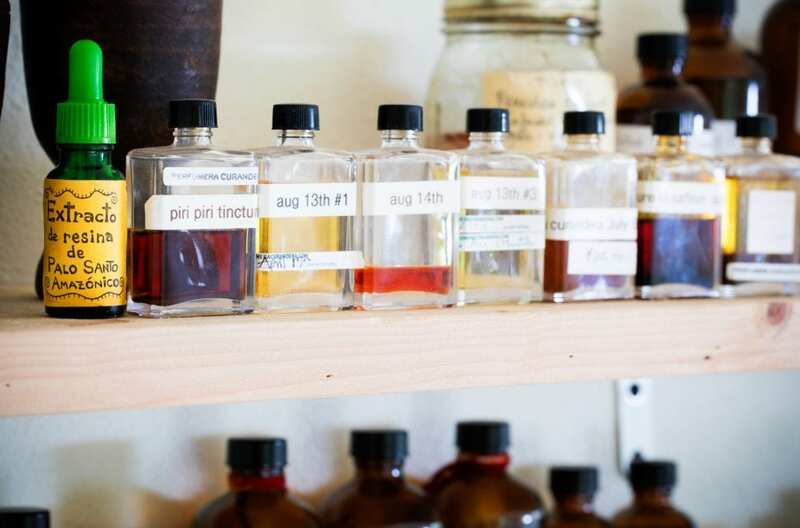 Have you always been interested in scent? My best friend Suzanne and I used to pick bluebells in the woods in England where we grew up and make perfumes with the flowers. We sold them in our neighborhood and did personal deliveries! My mum was my scent inspiration, she wore Rive Gauche and it still transports me back to a time of special dinner parties and holidays in the South of France. 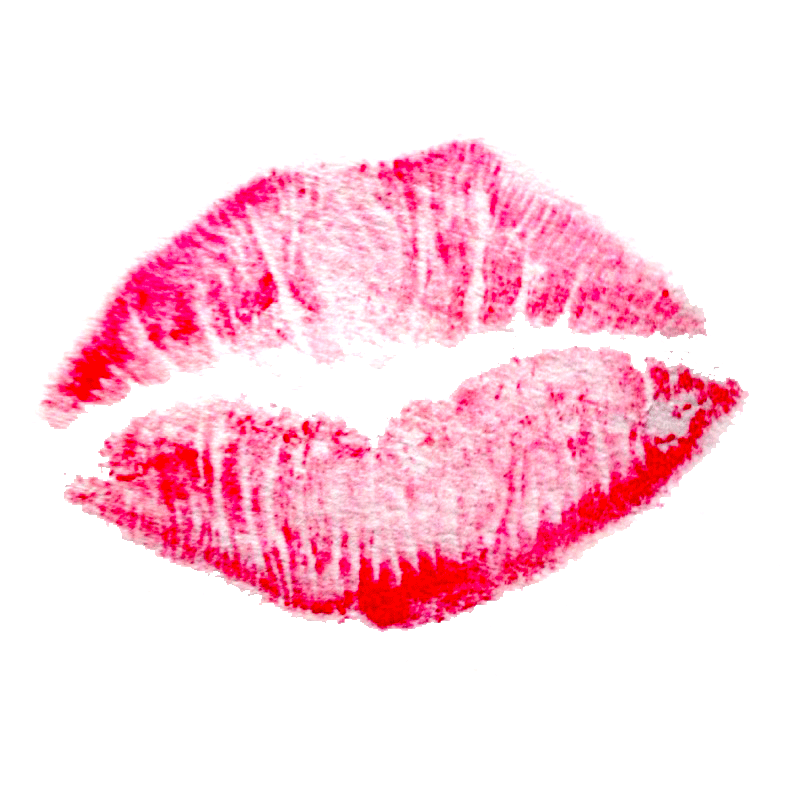 What was your first perfume? Body Shop Musk Oil was my go-to signature in my teens, before that it was my mum’s Rive Gauche. I would use her perfumed bubble bath and body lotions which had layers of this iconic scent. The scent lasted for days and lingered on my clothes and sheets. I always wanted to produce a perfume line- even while I was doing my skincare, as the aromatherapeutic scent was a big part of that line. I have used all natural elements for wellness, beauty and cosmetic since my late teens. 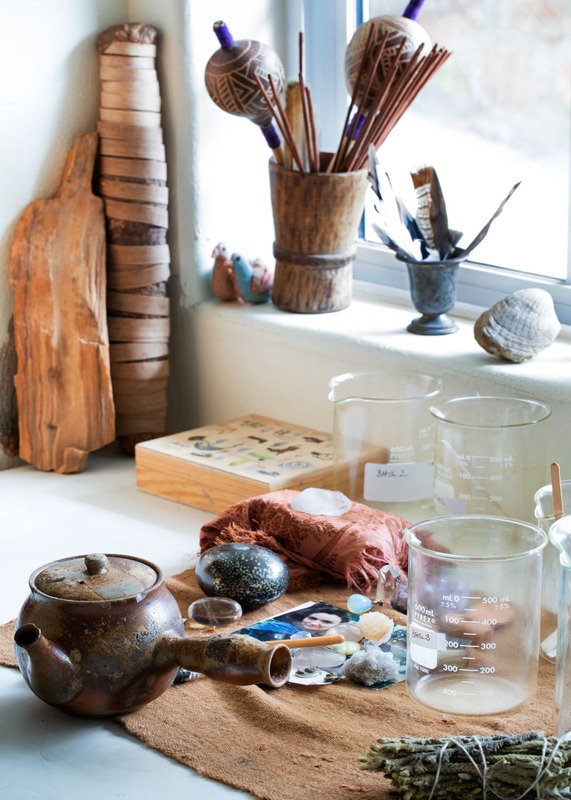 At that time I became macrobiotic and began working with aromatherapy, acupuncture and yoga. I cannot tolerate any synthetic scents and have always made my own perfumes from essential oils. I would also make special blends for friends and I knew that this was a path I wanted to explore further. The work my husband and I have done over the past 20 years with our Amazonian Plant Medicine teachers has been the foundation for Perfumera Curandera so I give the credit for the inspiration to my husband and to our connection to certain plants. Over our 3 decades together we have been traveling to his native Peru and began working with traditional healers known as curanderos or shamans in the Amazon Rain Forest and the Andean Mountains. Through one of our teachers we met a master ethnobotanist who is a professor for a university in the Amazon, he makes healing medicines from the jungle plants and he found a way to distill and produce absolutes and oils. Now over 5 special oils are distilled especially for Perfumera in tiny batches and these are the core foundation for all my Healing Perfumes. There is a very strong tradition of Perfumeros in Peru, they are healers that work with the aromas of flowers and plants. Traditionally Perfumeros, also known as ‘Vegetelistas’ have worked for many years with the plants that they use to make these healing potions that bring Love, Attraction, Luck, Abundance and Success as well as to heal physical ailments. I use these principles of healing intention and connection when I create my perfumes, incorporating these precious Amazonian and Andean plant essences. Sacred scents are the direct messengers of the plants bringing us joy and a sense of calm and balance, despite the many ongoing challenges of daily life, they remind us of our source and of the magic and grace of this sentient universe. What is your favorite scent/note? 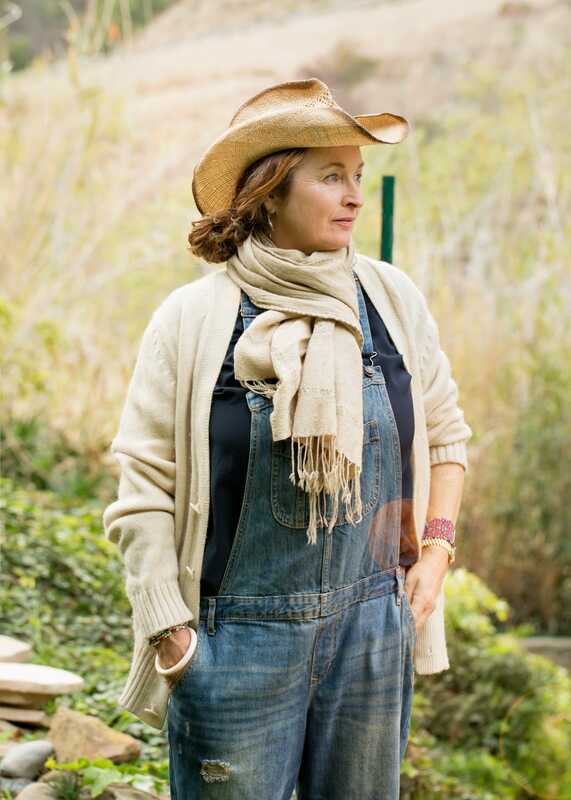 Leanne Hirsh photographed in Malibu, California. 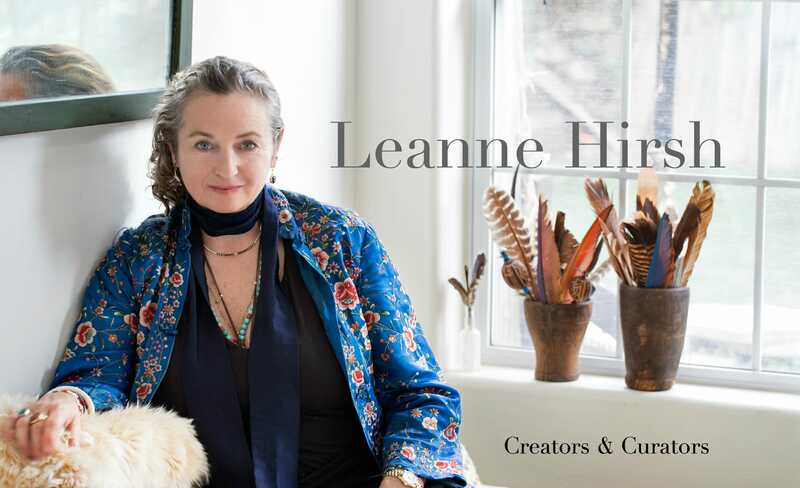 Leanne’s perfumes are positively divine! I love to wear them together – my favorite are Picaflor, Camino and Sueño – though they all carry a special magic. No surprise, really, as they are not only an expression of the wonderful plants from which they derive, but of the deep, wise and beautiful woman who creates them. I look up to you both as truly chic and glamorous silver women!! And Big Thanks to the beautiful spirit you bring it all together with Simone Silverman! I don’t Know this perfume ! Do you know if they sell them in france?